Skellig Michael how to get there. Like most of the best places on earth, Skellig Michael is not easily accessible. Factor in some forward planning, load yourself with lucky weather charms, and let us show you how to get to Skellig Michael. Weather conditions are the main factor to contend with, so keep a close eye on the local forecast. Numbers are also limited, with restrictions on the number of boats travelling to Skellig Michael every day. The majority of the boats leave from Portmagee, and the journey takes about 45 minutes. You will have up to 2 ½ hours on the island – 2 ½ hours that will remain with you for the rest of your life. Here is a list of boats to Skellig Michael. Dress in layers, as the weather can be changeable. 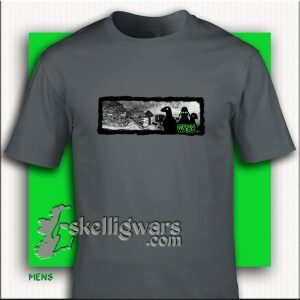 Over your Skellig Wars T-Shirt, we advice you wear a waterproof coat. Strong shoes with non-slip soles are vital. Some people find a walking stick or pole useful. Listen to your boat’s skipper when you arrive at the landing for instructions on how to alight safely. Also listen carefully to the safety briefing before you ascend the steps. Take great care when climbing the steps, particularly when taking photographs, as this is when accidents can happen. There are no toilets on Skellig Michael. Most important – enjoy! 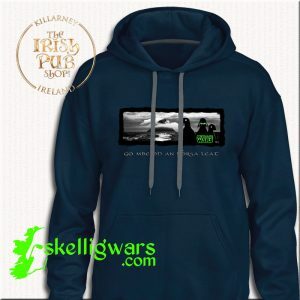 You are one of the lucky few mortals to experience a visit to Skellig Michael, so make the most of it.